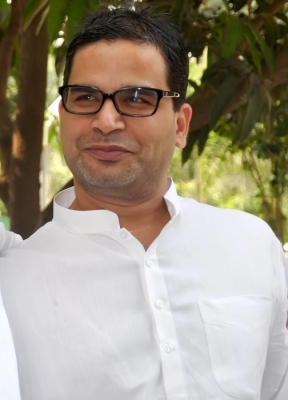 Patna Sep 16 (IANS) Election strategist Prashant Kishor on Sunday formally joined the Janata Dal-United (JD-U) in the presence of Bihar Chief Minister Nitish Kumar ahead of the party s state executive meeting here. JD-U spokesperson Sanjay Singh confirmed Kishor s joining. "Now Prashant Kishor is a JD-U leader " Singh said. Shortly after the announcement Kishor tweeted: "Excited to start my new journey from Bihar!" The 41-year-old former UN official who founded the Indian Political Action Committee (I-Pac) was tasked with running the JD-U s campaign during the 2015 Bihar polls after he parted ways with the Bharatiya Janata Party (BJP). After the success of the Grand Alliance Nitish Kumar naming Kishor as his advisor for planning and programme implementation. He was accorded the status which was equivalent to a state Cabinet Minister. Last week Kishor hinted at his political debut while addressing an event at the Indian School of Business (ISB) in Hyderabad. Kishor had formulated Prime Minister Narendra Modi election strategy in the 2014 elections.